Buying outdoor furniture in the winter months might be the last thing on your mind, but if you plan ahead, you’ll find great deals and a wide selection. Western Home Journal speaks to The Open Room owners Heather and Matt Newhouse to find out why buying for the sun when there’s snow outside is a bright idea and how local stores stack up against big online retailers. Most people don’t think about new patio furniture until they are planning their 4th of July barbeque. But with a little foresight, there are great deals out there during the snowy months. Not only are the deals better, but the selection can be greater because you have time to research styles and fabrics that might not be on the showroom floor. The experienced personnel at The Open Room can help you choose furnishings that fit your space and offer a wide range of materials from teak or metal to all-weather wicker collections. The Open Room can provide fabric samples from outdoor fabrics including but not limited to Sunbrella, Robert Allen, and Perennials, and coordinate delivery to your home before the first days of summer. 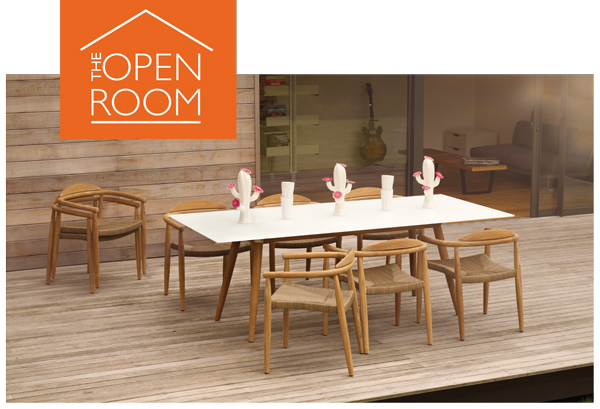 No matter the time of year, The Open Room sells furnishings for indoor and outdoor living spaces and provides services to locals that include space planning, umbrella repair, teak refurbishing, and winter storage of outdoor furniture. Some of the brands for outdoor furnishings include Gloster, Brown Jordan, Kingsley Bate, Fermob, Janus et Cie, Paola Lenti, and Summer Classics. Indoor furnishings include Dellarobbia, Camerich, Gus Modern, Gandia Blasco, and Gervasoni. An ever-changing assortment of pillows, throws, rugs, and lighting are stocked on a regular basis. According to The Open Room co-owner Heather Newhouse, “Many customers visit the store under the assumption that there’s no way we can beat the prices they find online. But there’s a lot we can do not only to beat the online prices, but also to make the entire shopping experience better.” When you shop online, there’s no way to make sure the furniture will complement your space, and there are many unforeseen hassles for the convenience of shopping online. “When you shop locally,” Heather says, “we can personally visit the residence to help choose furniture for the space, and we can help the homeowners choose from hundreds of fabrics to coordinate their color scheme.” The service doesn’t stop there. 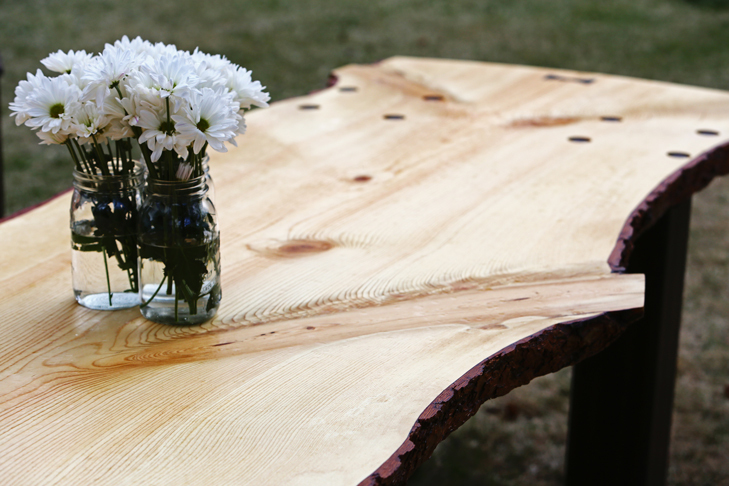 “Once the order is placed, we receive and inspect pallets of furniture and spend whatever time is necessary unpacking and assembling each piece of furniture for the homeowners. We recycle 80% of the debris and discard the rest.” And finally, Heather says, “We follow up with personal visits to the home to see if there’s anything else we can do to help.” Top that big-box store!